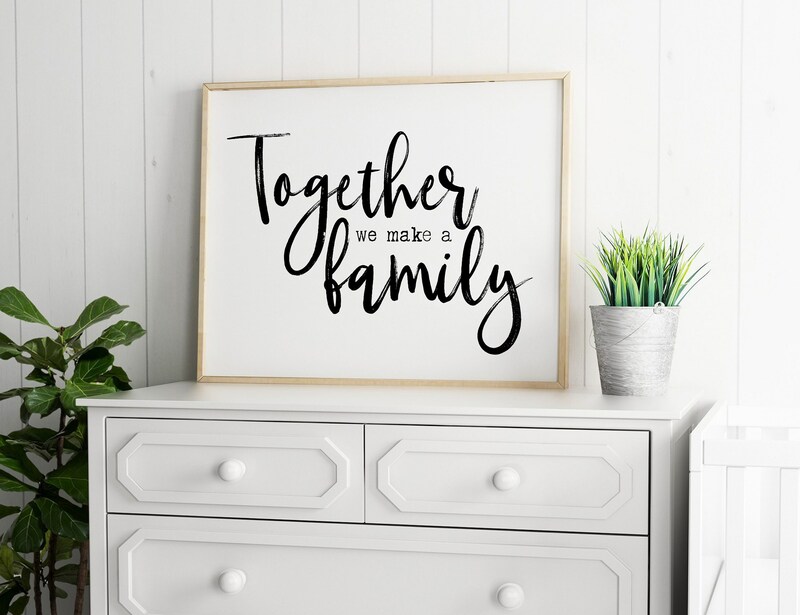 This pretty black and white print features the quote, "Together We Make A Family". Families come in all shapes and sizes and the people that make up our family are so important in our lives! This print would be a beautiful addition to any home.